OSL stands for Overseas Service Learning. It is a program from Foreigner’ schools and Universities, in which, a group of elected and trained students are send to developing countries to do community projects. This model is preferred as Service Learning. This is why OSL project is called Overseas Service Learning Projects. 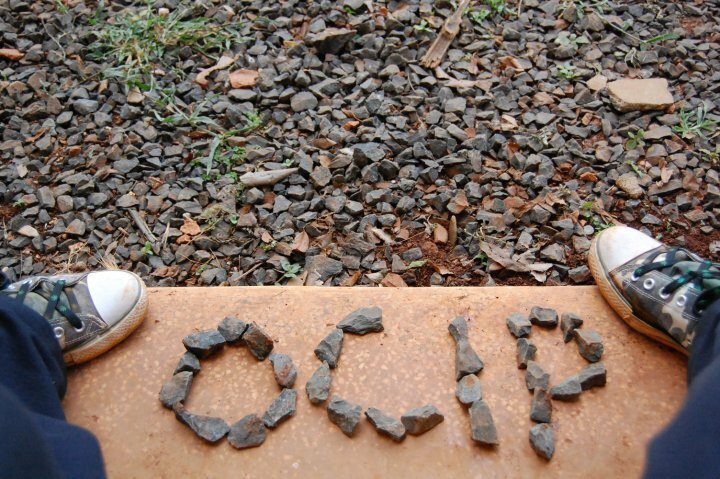 OCIP is a not-unfamiliar phrase with oversea students. ECO Vietnam Group is proud to be the host for these projects in Vietnam since we were first established in 2009. Together with our partners from Singapore, we have made more than 20 successful OSL projects in poor regions and ethnic minority communities around Vietnam to make a better life and education in these areas. 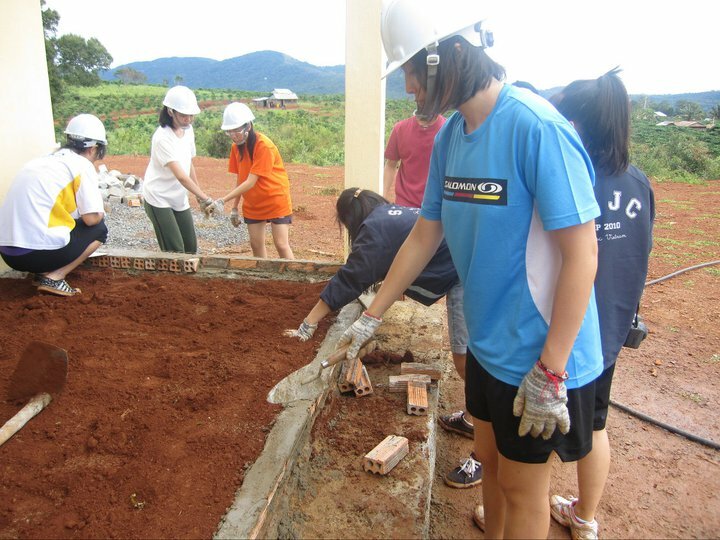 OSL projects also have another name such as Regional Community Involvement Project or Overseas Service Learning where overseas students to come to Vietnam for providing the support and at the same time to learn from the community. It strictly follow the model called Service Learning. In each OCIP, our partners and we have worked for months of research (includes reece trips), preparation and training to come up with the best plan and the best solution for our 2 weeks working in the chosen region. Since each OCIP has different targets, each with different needs, therefore our projects serve various causes depend on the actual needs of these areas. For more than 3 years, our Singaporean and Vietnamese volunteers (all are students) have done many jobs from painting classrooms, repairing houses to building roads, kitchens, houses, toilets, and teaching as well, etc. 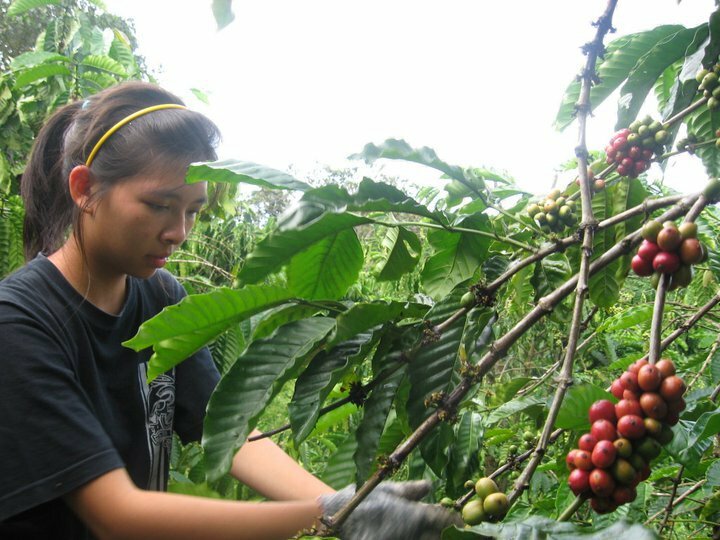 Harvesting coffee bean in Youth Project. III. Where have we been? 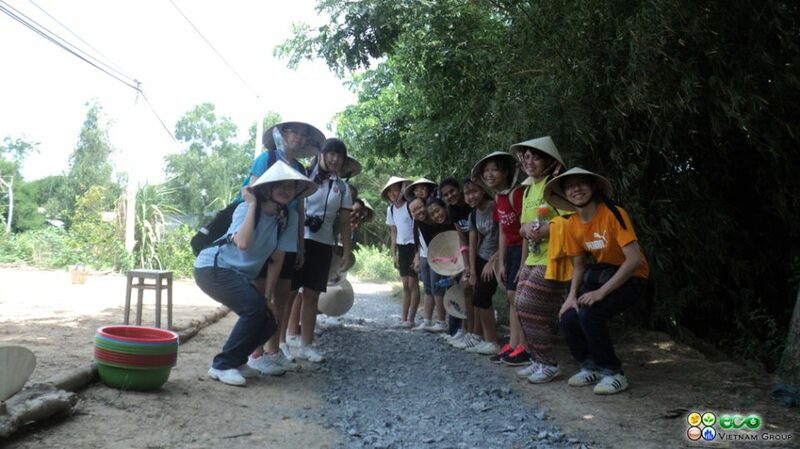 Girls from Paya Lebar Methodist School were building road in Phuong Thinh Commune (Dong Thap province). IV. Who have we worked with? During our five years in action, 1,037 Singaporean students and 708 Vietnamese young people have participated in our projects, with a total spending of 286,739 USD for contributing to community service and education. We have received awards and merit certificates from the government for numerous projects. 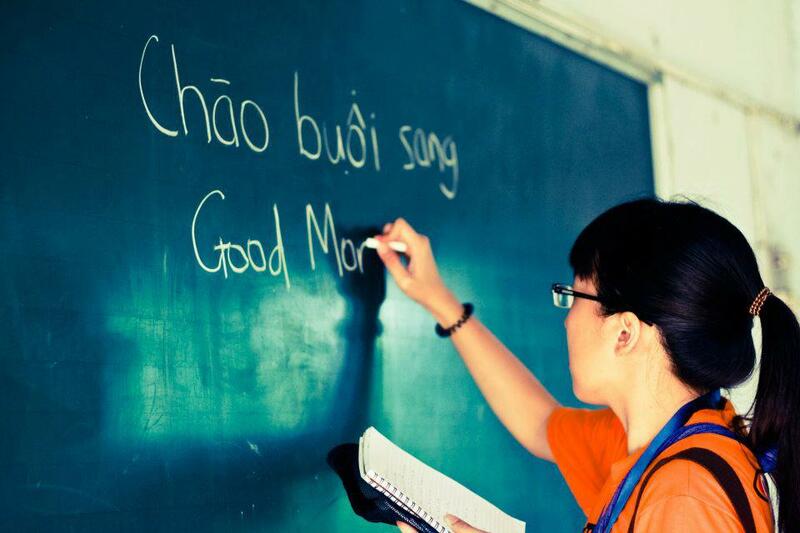 More than 700 Singaporean teachers and students, 200 Vietnamese volunteers, 30 ECO Vietnam Group members. v. What have we got? Through these projects, our young generation of Singaporean and Vietnamese students has had the opportunity to experience a new –different world, to adapt into a different life routine to make friends across countries, to understand, learn and grow together. Thanks to all the life lessons they achieve from the people they served, from their teachers, EVG’s advisor, their friends and also their self’s criticism during the project, these volunteers have become more confident, responsible and extremely enthusiastic with community service. + 1 IT library room values more than 100 million VND for a Secondary School in Gia Bac commune. + 1 school-yard (800 meter square) for a secondary school in Tan Quoi Commune. + 3 ECO Love Houses for the poor in Phuong Thinh commune. + 1000 kg rice for the poor. + 3 Letters of Appreciation from Committee of Vietnam Fatherland Front – Cao Lanh District, the People Committee- Phuong Thinh Commune and Association of Vietnamese Youth League – Cao Lanh District.